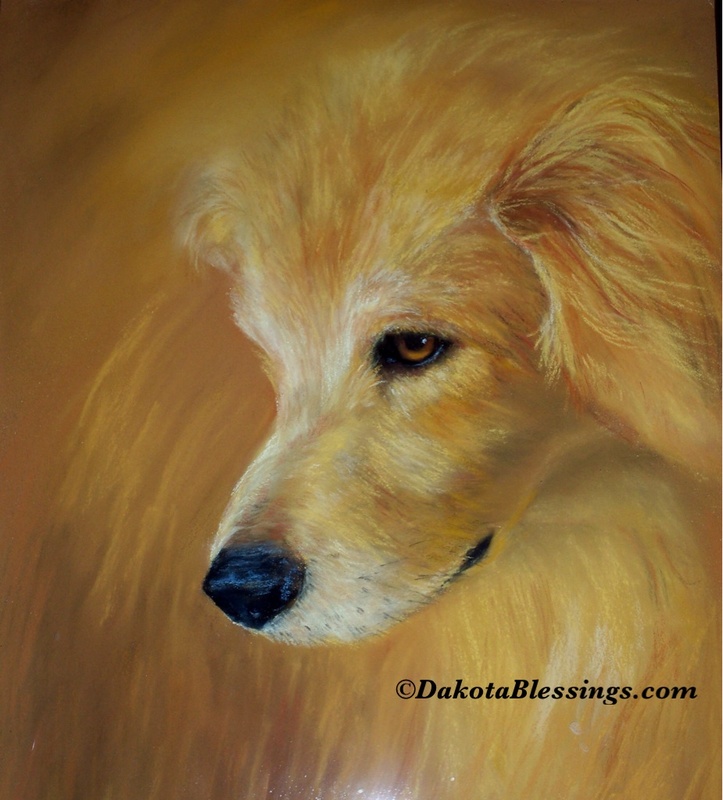 This is one of my newest pastel dogs… It is framed in a custom frame- detailed with leather work ! Come and see us at artfest- we are excited to show some of our newest art pieces!! Artfest– Friday & Saturday, Oct. 15-16.. at the Minot auditorium! This entry was posted on October 12, 2010 by dakotablessings. It was filed under Uncategorized .